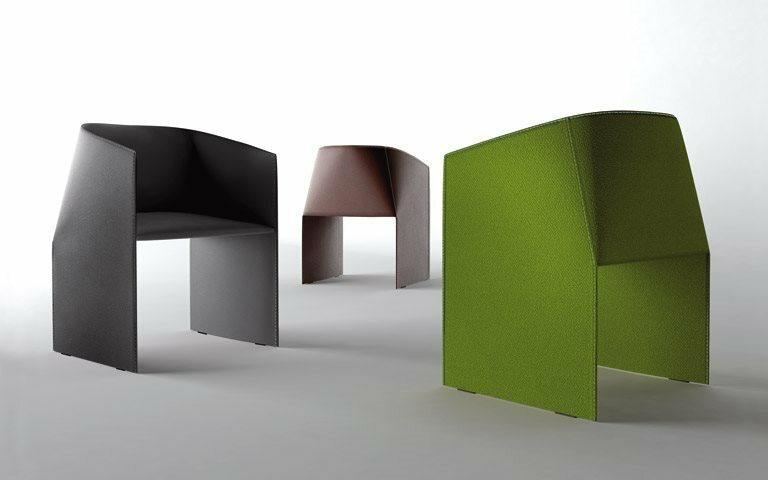 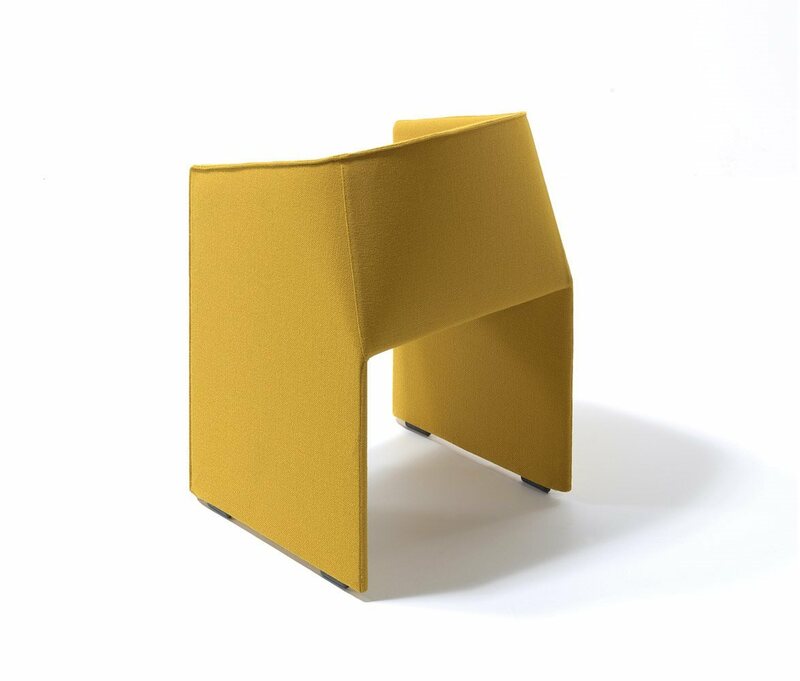 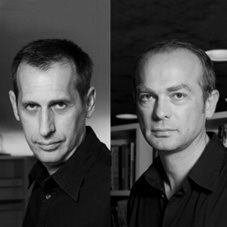 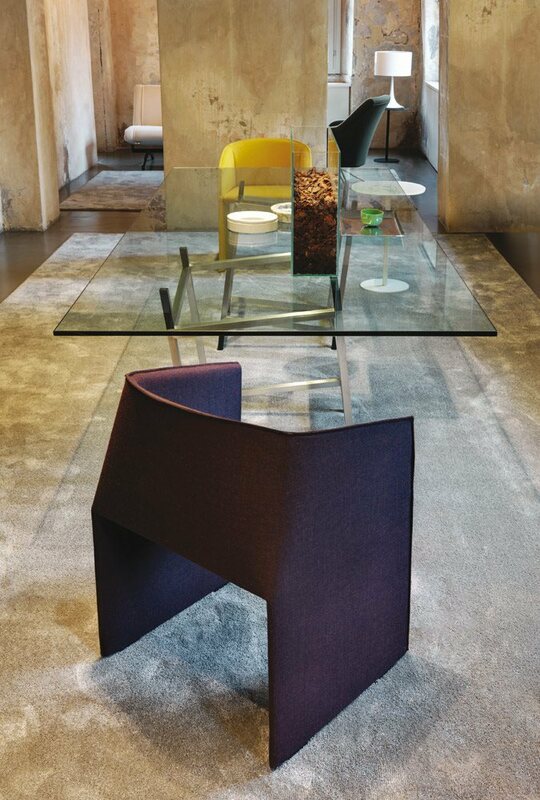 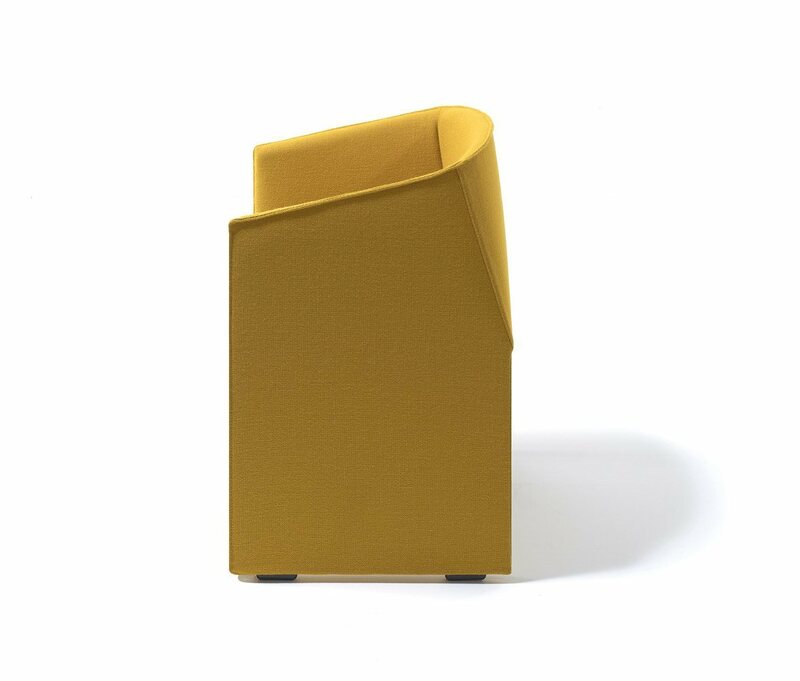 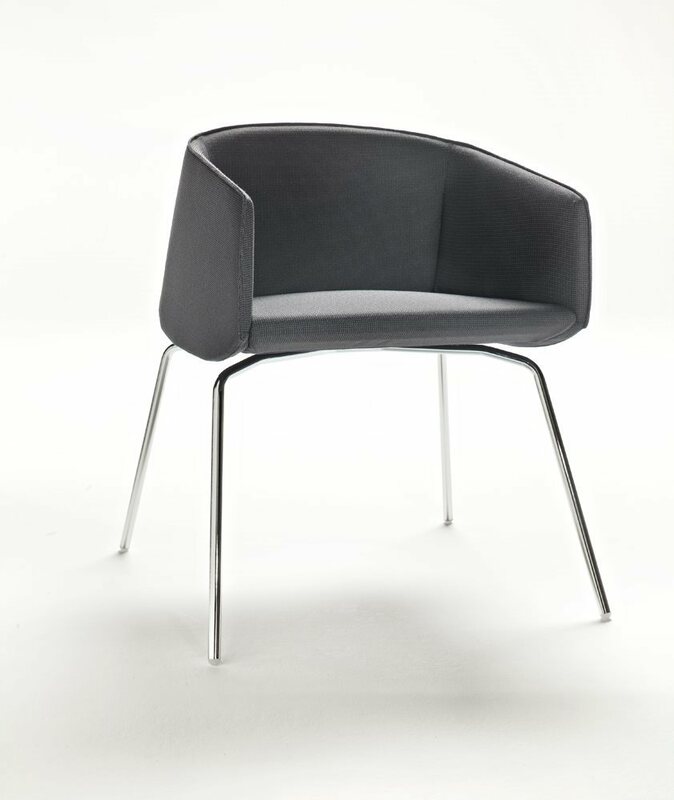 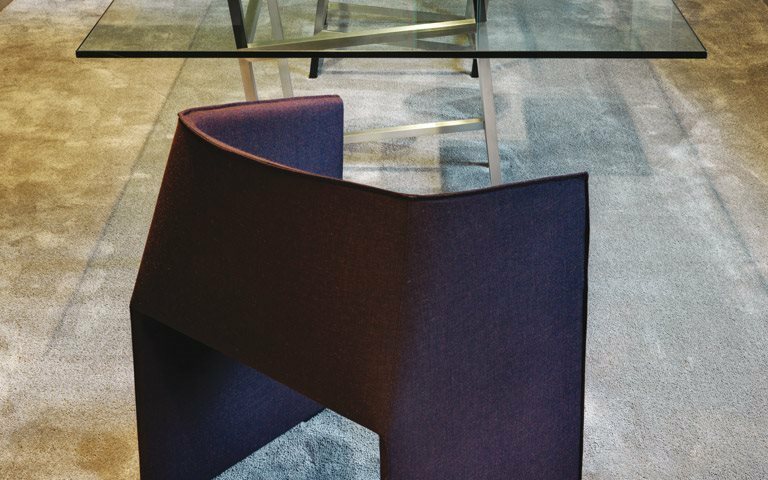 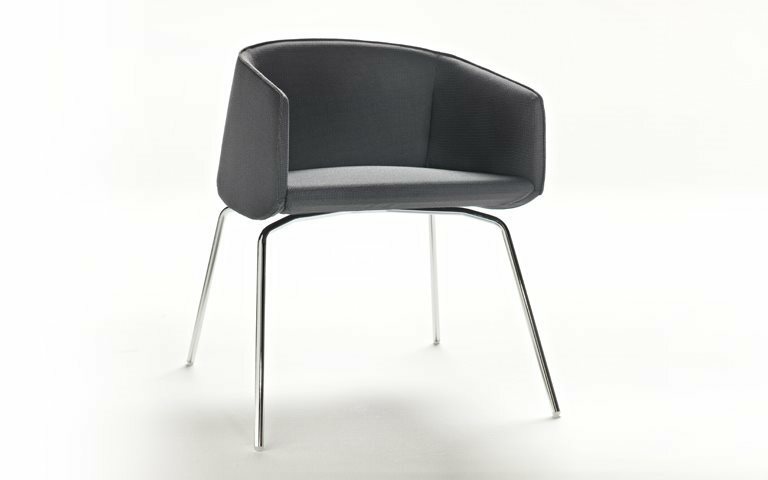 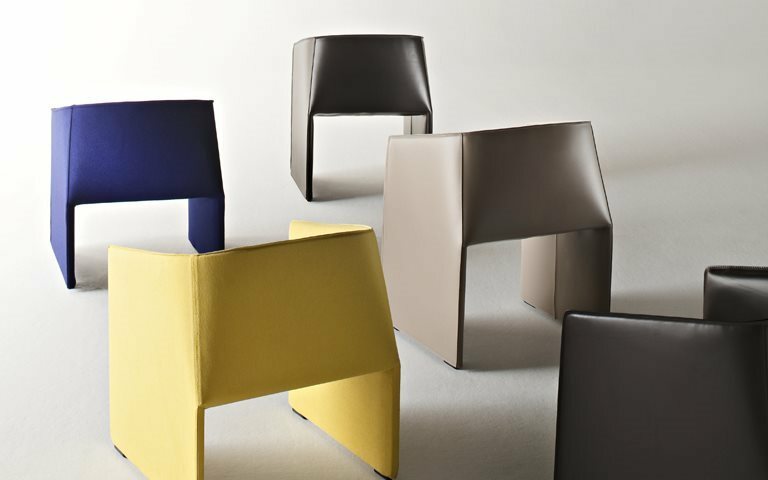 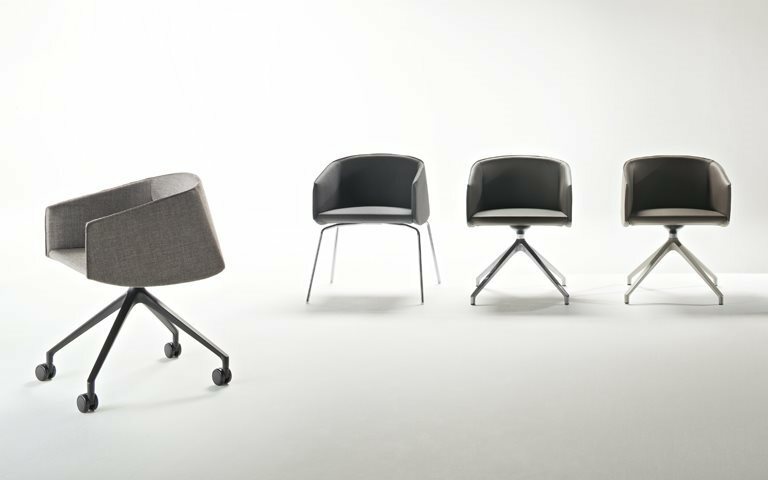 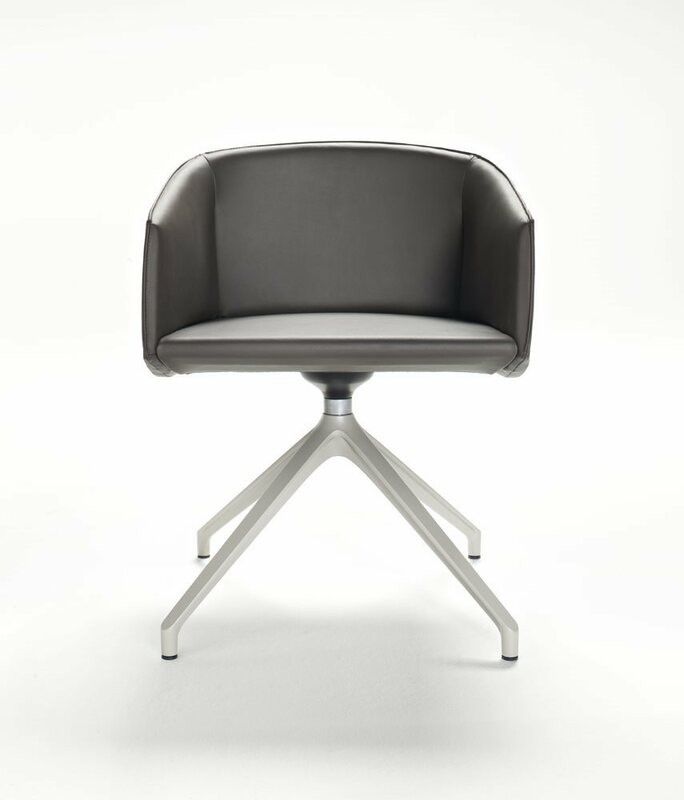 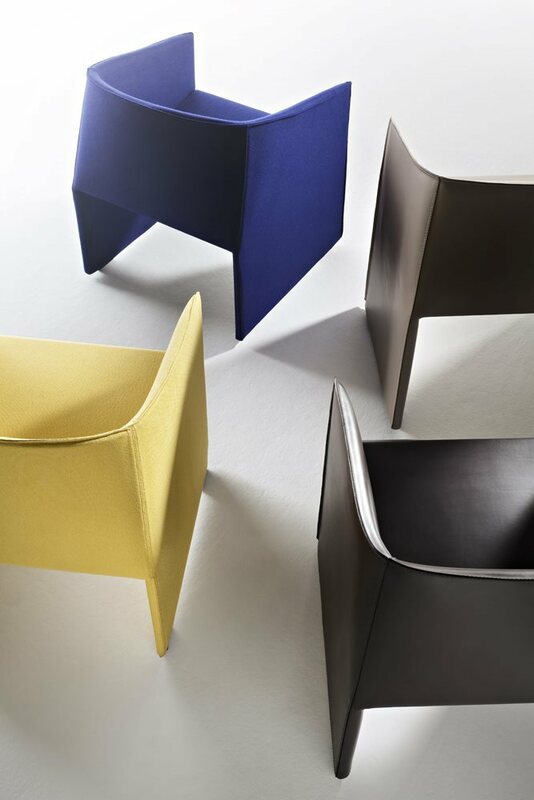 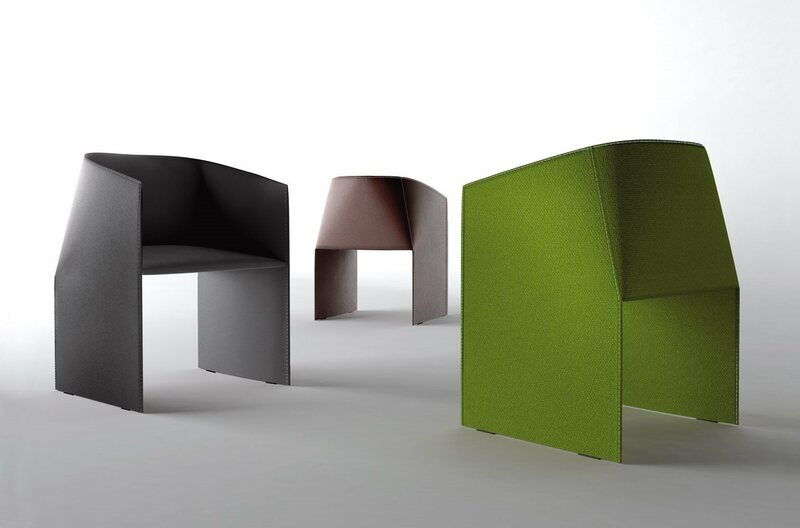 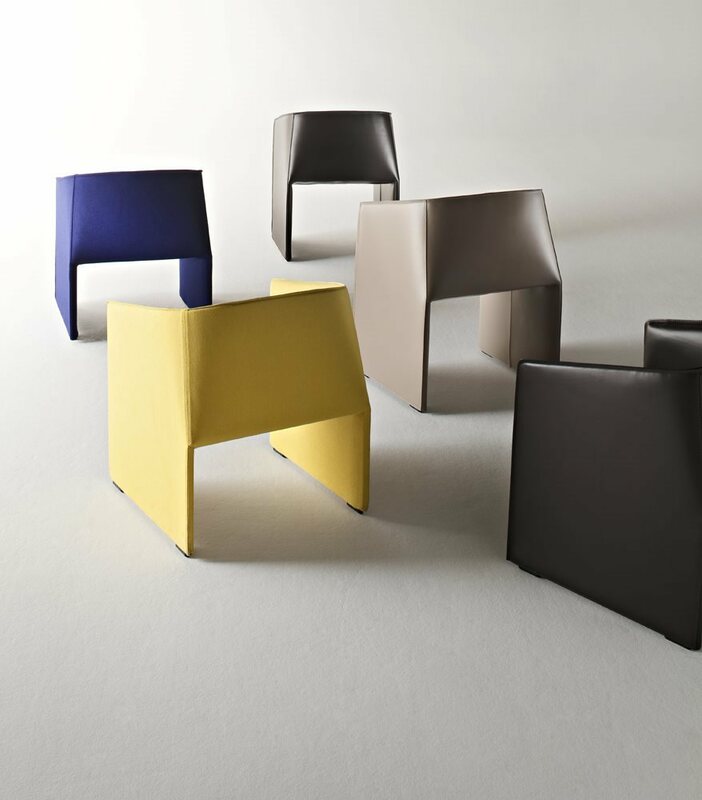 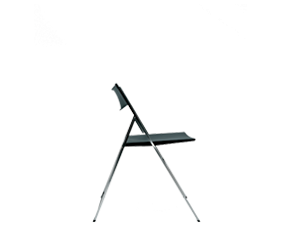 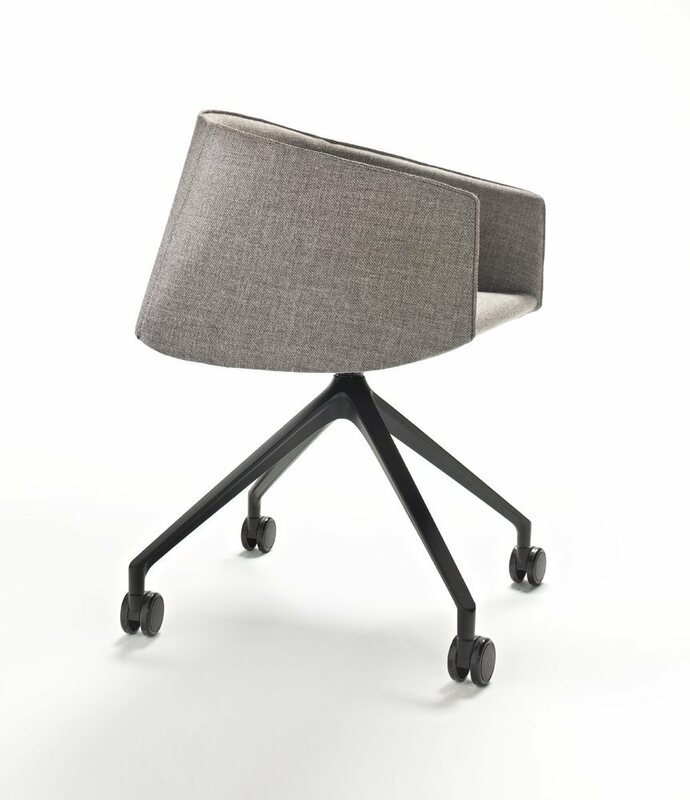 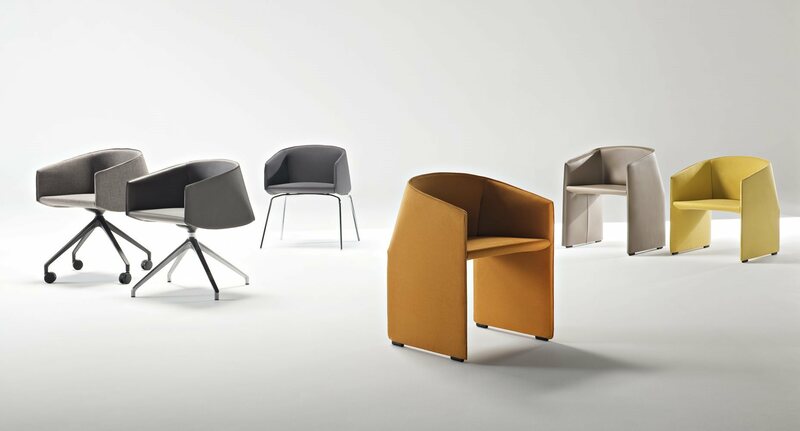 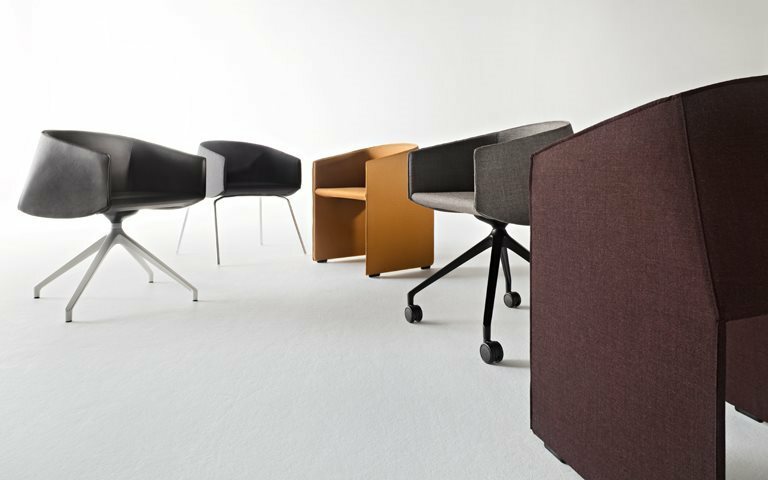 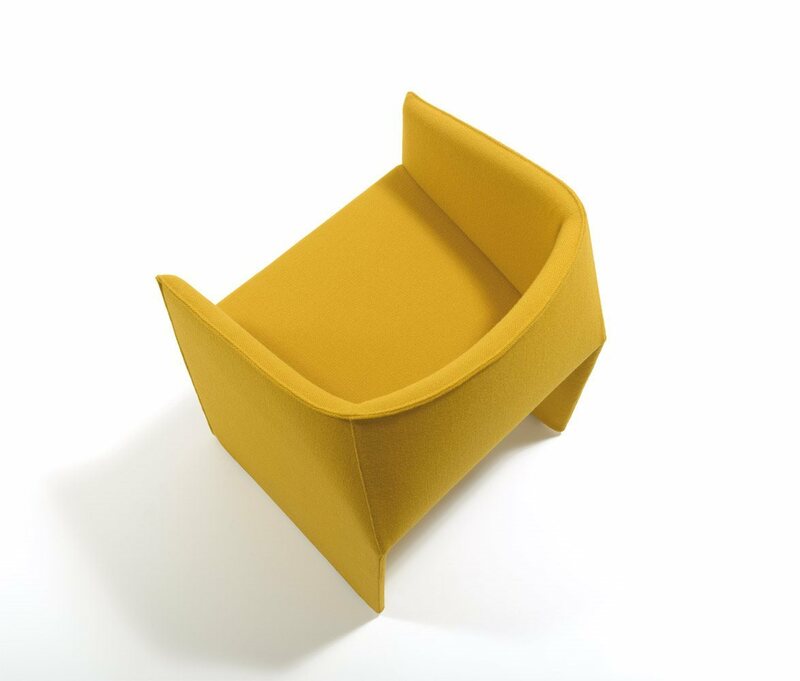 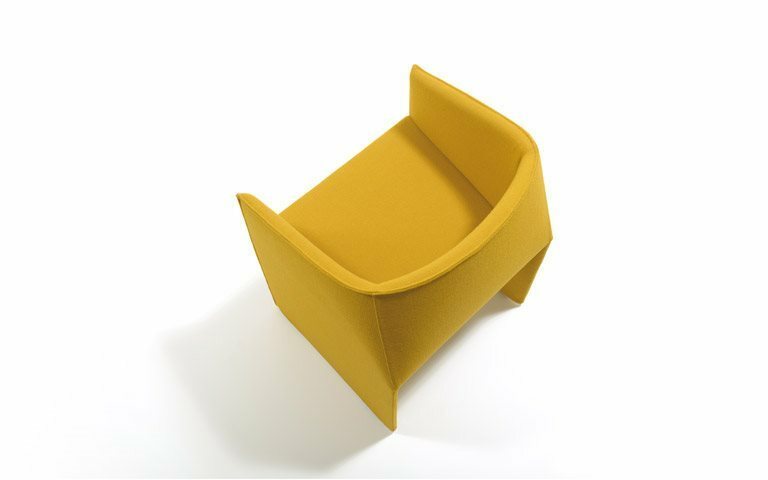 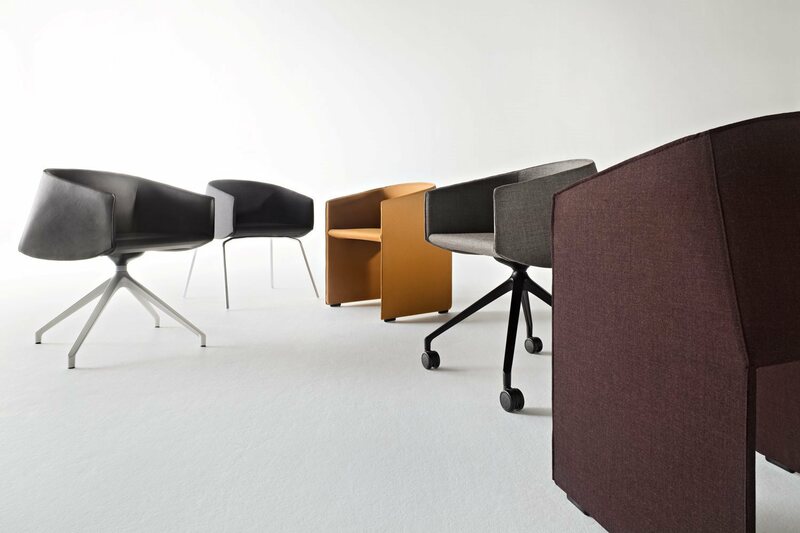 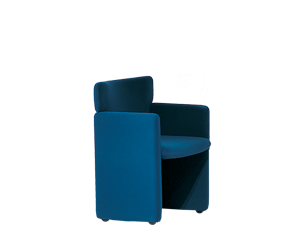 Designed by Gabriele and Oscar Buratti, Plau is an essential vision of the “chair object”. 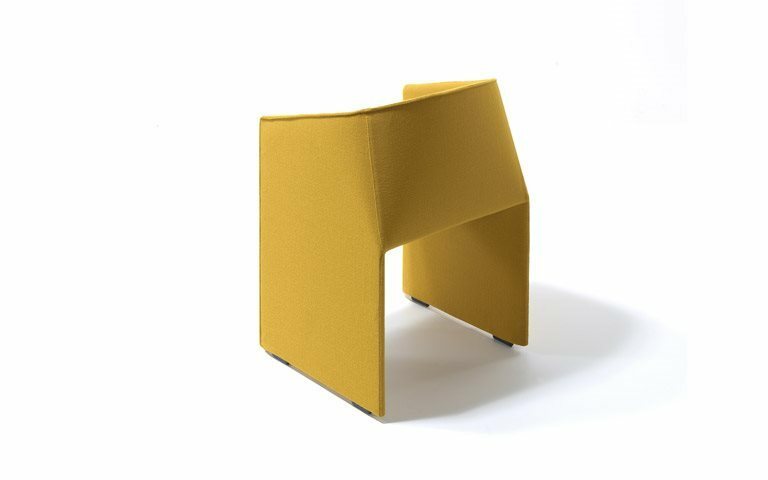 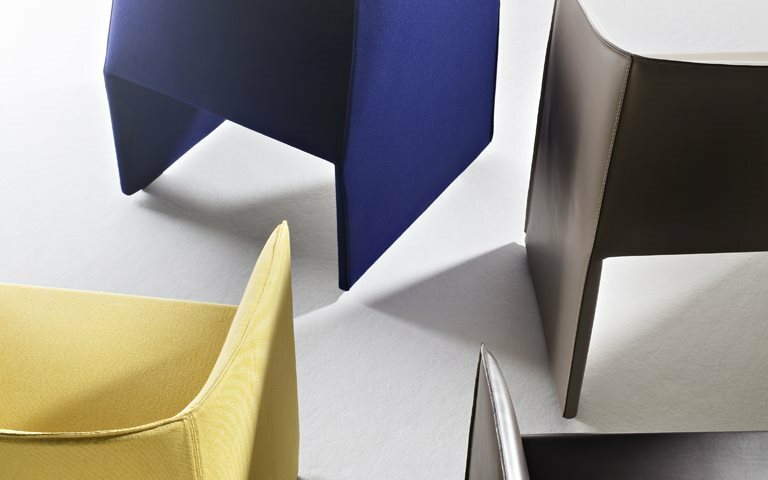 The idea is based on a single padded sheet, cut and bent into the shape of an armchair. 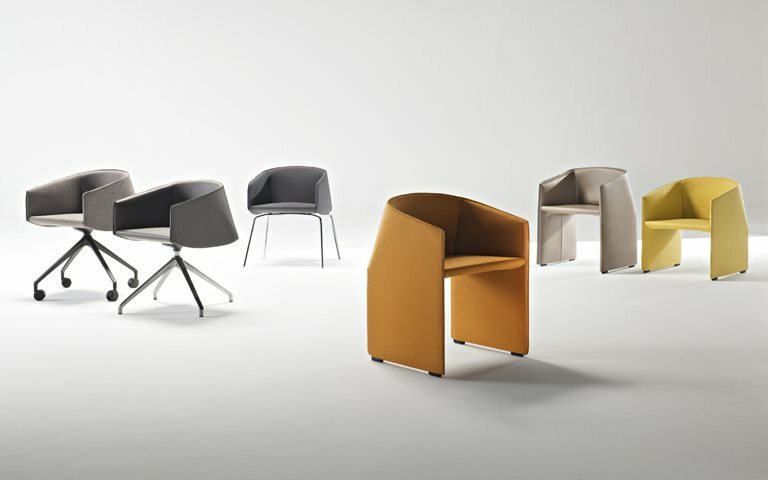 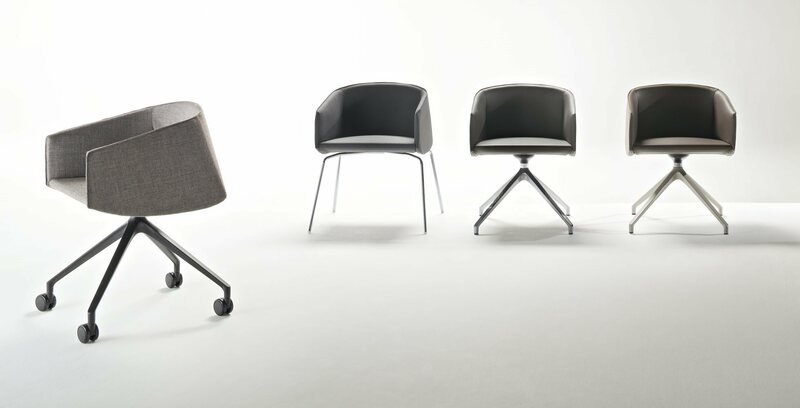 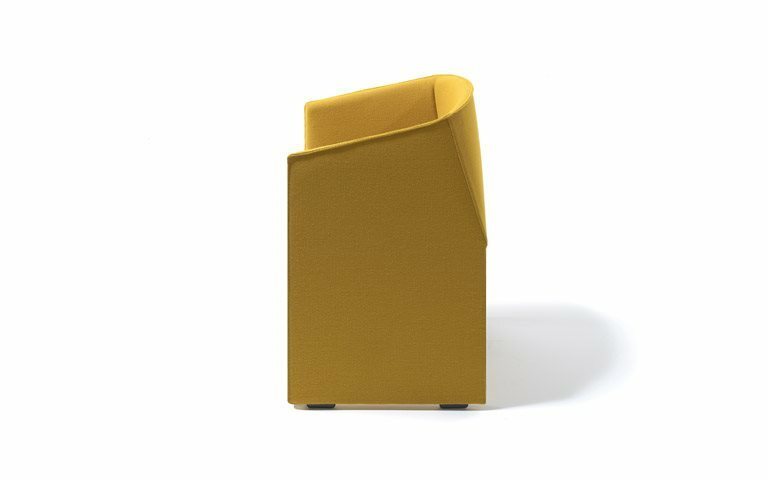 The chair’s comfortable, enveloping geometry stems from a painstaking quest for balance between sharp angles and softer edges. 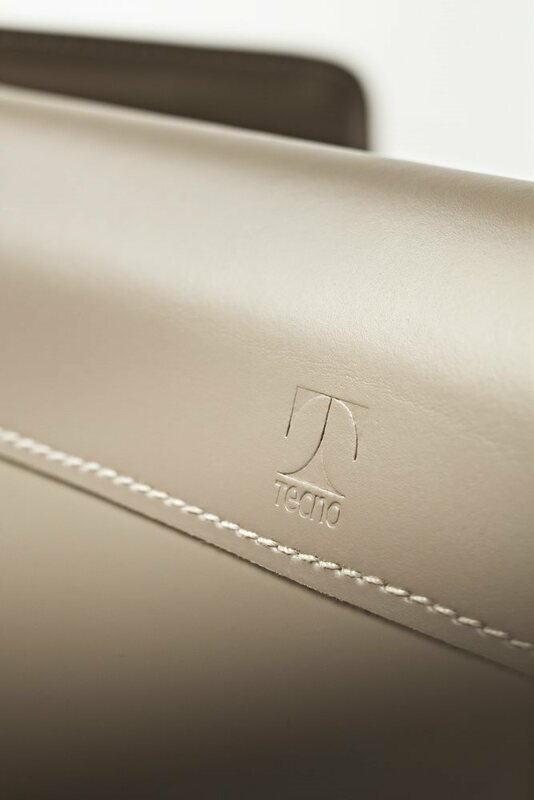 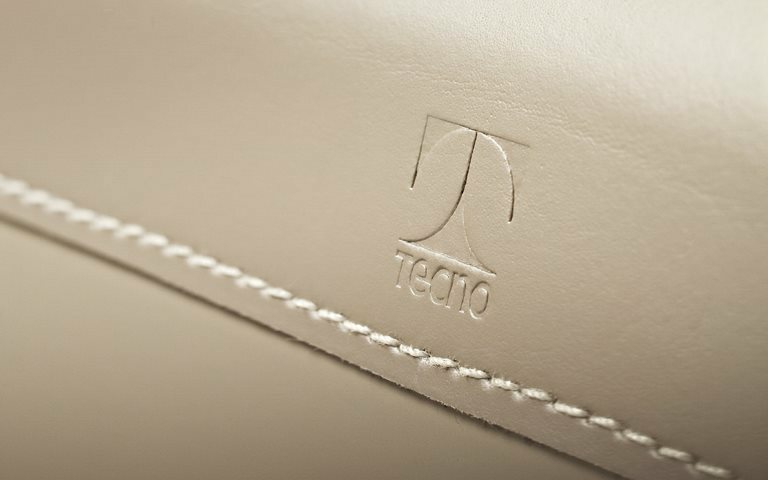 The result is an elegant and technical creation of great visual impact, completely in line with Tecno’s design and production philosophy. 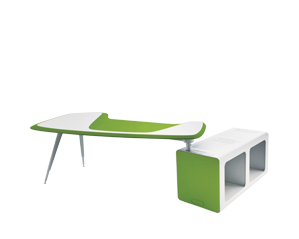 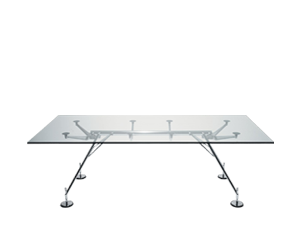 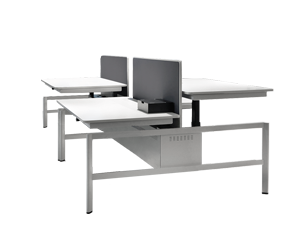 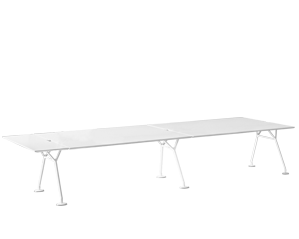 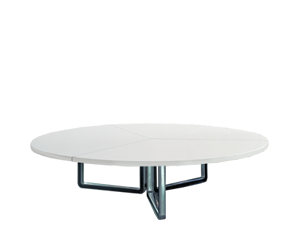 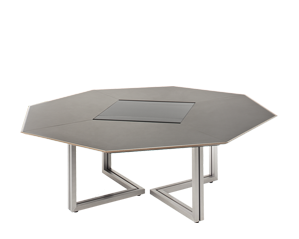 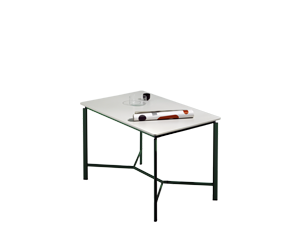 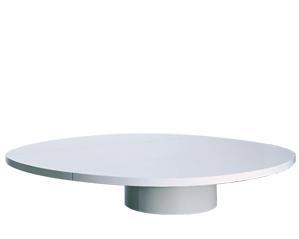 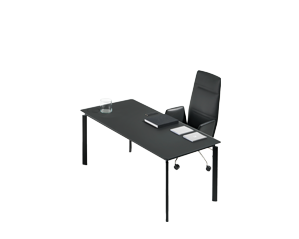 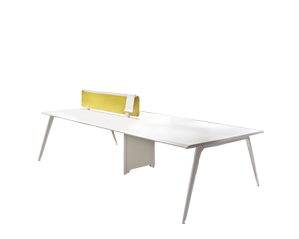 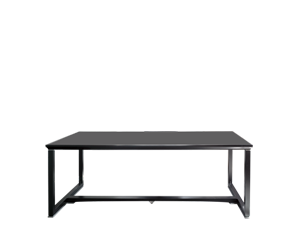 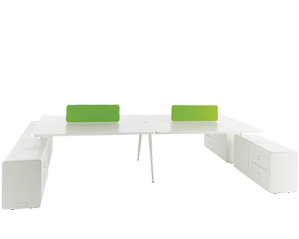 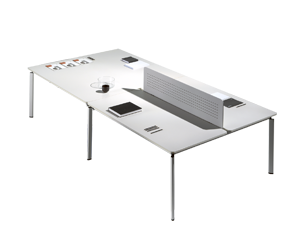 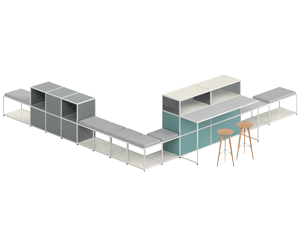 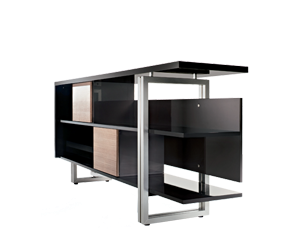 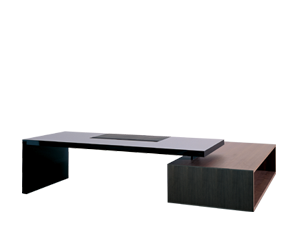 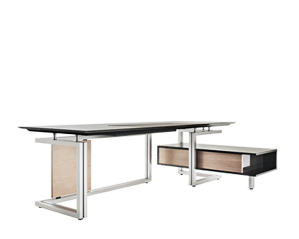 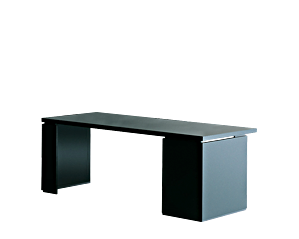 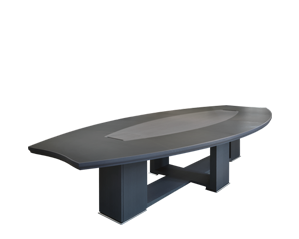 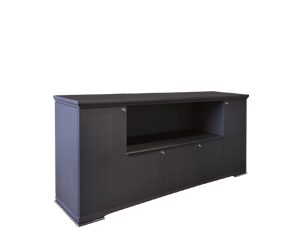 Plau is available in the taller S501 table version and the lower PS501 relaxing version, both of which can have wheels integrated in the sides. 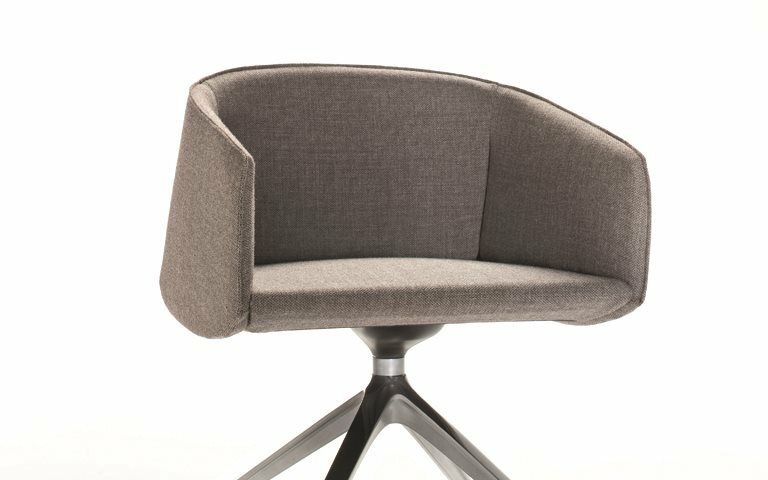 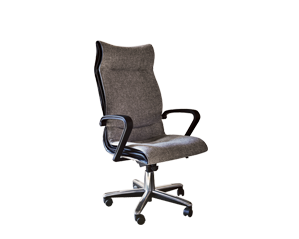 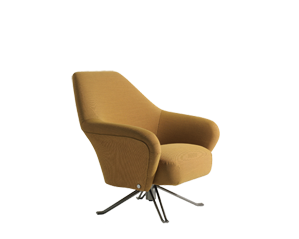 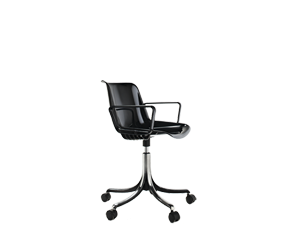 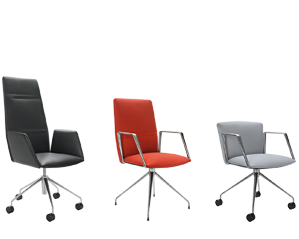 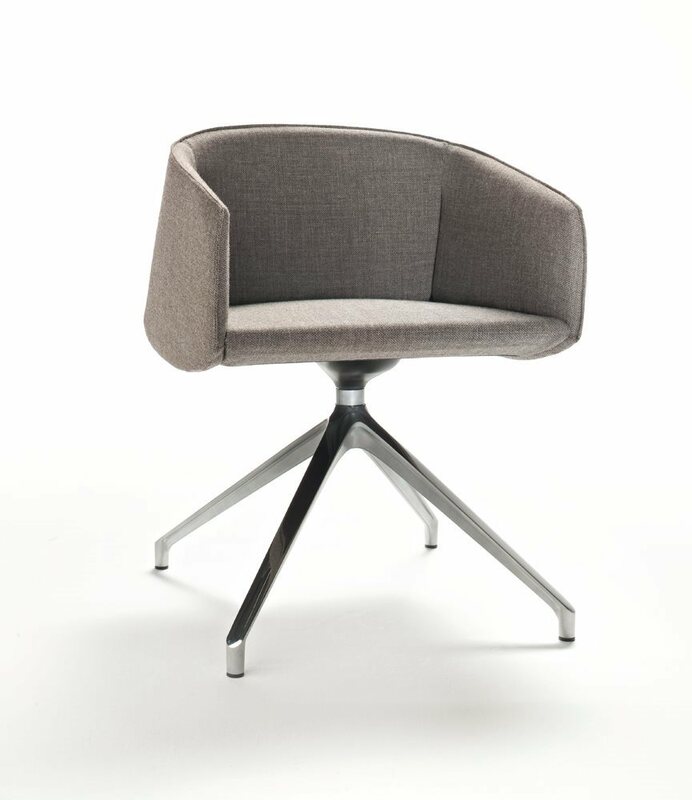 This versatile and transversal chair is ideal for the home setting, around a dining table or accompanying sofas in the lounge area, but equally suited to offices, negotiating, meeting and waiting areas and lounges. 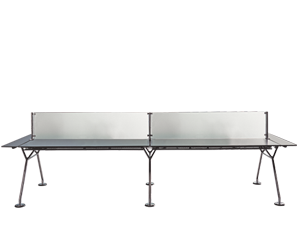 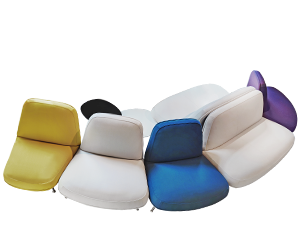 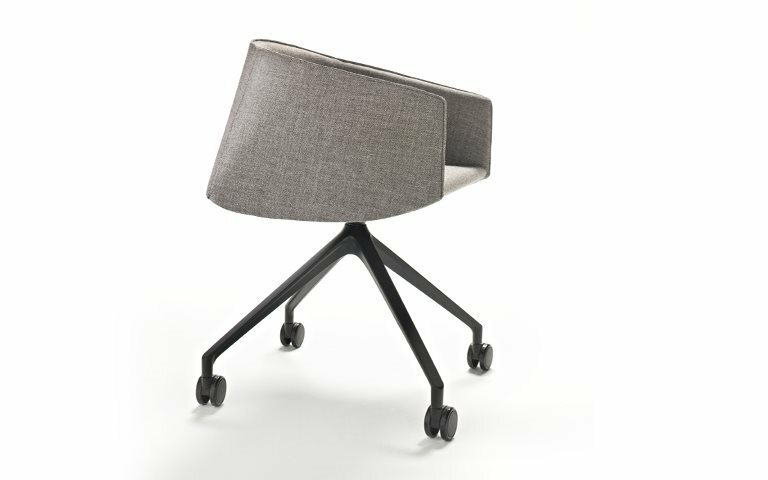 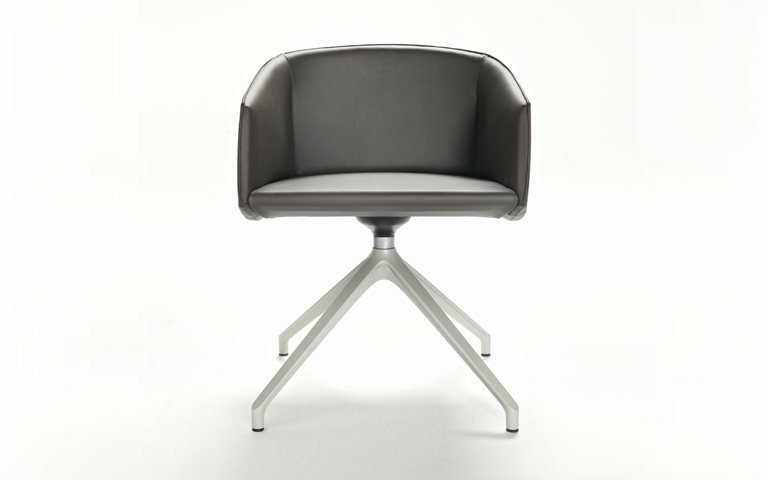 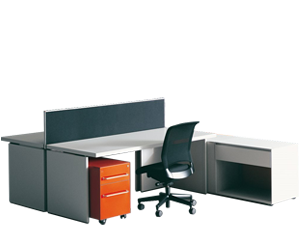 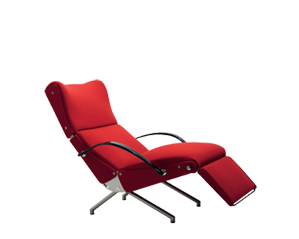 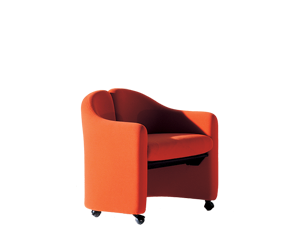 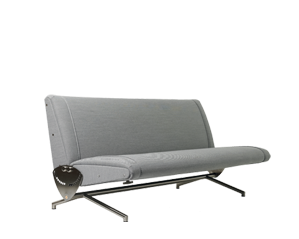 The structure is in steel tube; the padding is in flexible polyurethane foam, and the upholstery is in fabric or leather.